Angel Island – Tiburon Ferry thanks “Those Who Serve” with waived ferry fees on Memorial Day. As a gesture of appreciation to “Those Who Serve,” Angel Island – Tiburon Ferry is pleased to offer waived ferry fees on Memorial Day, Monday, May 28, 2018. Plus, once on Angel Island, Angel Island Company is providing FREE Historic Tram Rides for “Those Who Serve” on Memorial Day, Monday, May 28, 2018. 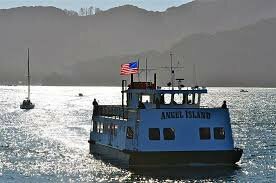 People who are either active or retired military personnel as well as State, County & Municipal Police and Fire Department personnel – are eligible to ride round-trip to Angel Island State Park with a valid I.D – for just the $3.00 park entrance fee on Memorial Day. 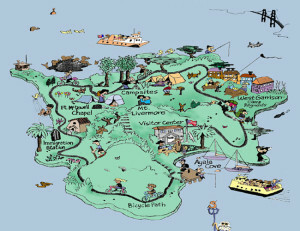 Angel Island…we get you there. $4.00 & $5.00 AL DAY Parking in downtown Tiburon, California…and more. Plan your Memorial Day in Paradise…with Angel Island -Tiburon Ferry. Angel island, Angel Island Ferry, Angel Island State Park, Angel Island Tiburon Ferry, Captain Maggie, memeorial day events, Memorial Day, memorial day 2018, those who serve, weekend warriors.